CryoToning helps diminish the appearance of cellulite and fine lines and wrinkles. The 20-minute treatment applies only cold therapy at -2°C causing local metabolism and micro-circulation to improve in the treated area. This boosts your production of collagen which eliminates cellulite, tones the area, improves skin elasticity, and reducing pore size. 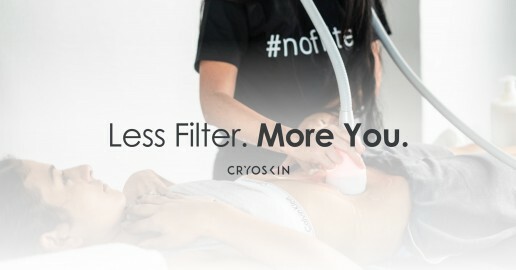 CryoSlimming uses thermoelectric cooling to freeze fat, causing the cell death of subcutaneous fat tissue without damage to the overlying skin. The 28-minute treatment begins with 4 minutes of heat at 40°C then 24 minutes cold at -8°C divided evenly across the treated areas. The destroyed cells then pass naturally through your body’s lymphatic system.